Located in the center of Kuta beach, the most famous beach in Bali and a popular tourist attraction, surrounded by fantastic dining, entertainment and shopping opportunities, The hotel features 130 spacious rooms designed in a Modern contemporary style, as well as two bars, a fabulous restaurant, a swimming pool, and spa facilities. Mercure Kuta Beach Bali also a part of the MyResort program featuring exclusive experiences for Le Club AccorHotels members. 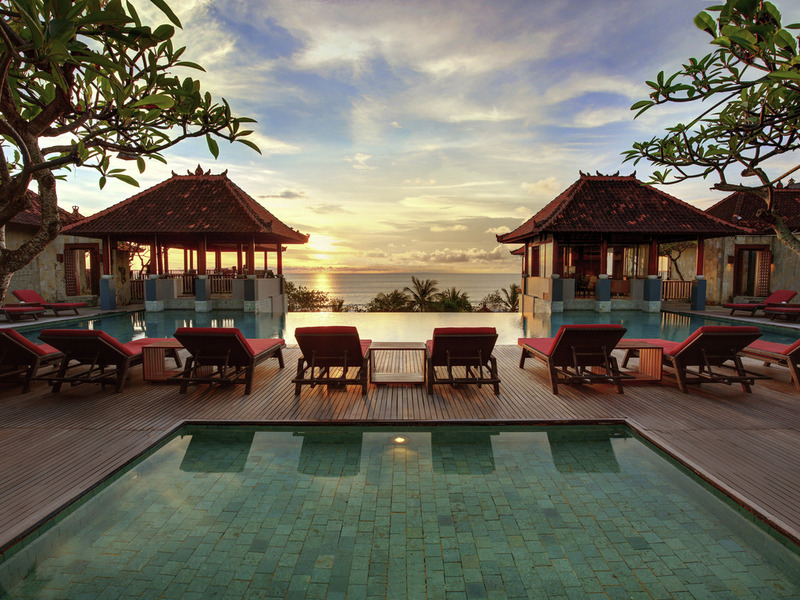 On the 4th floor, the thatched roof is reminicent of a traditional Balinese village. With fantastic views over Kuta Beach, the restaurant offers a unique menu of a mix of Asian and western food. Dinner is a buffet style. Situated on the 4th floor opposite the reception, the bar is surrounded by Lotus. Our experienced bartender serves a choice of snacks, cocktails, beers and wines from morning to night. Located on the 4th floor by the pool and restaurant, the Sunset Bar offers spectacular views of Kuta Beach.